Whew! This page was a doozy! I knew for a long time what the school building was going to look like. 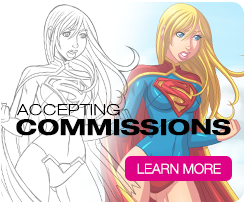 However, I was also pretty scared to draw it. If anything, Darkborn is really forcing me to get better at backgrounds. I worked extra hard on this page with all the backgrounds. Here Azia is getting to school to start her school day, but as this day seems to be going so far, it’s one thing after another. Maybe fighting monsters is actually easier than this! 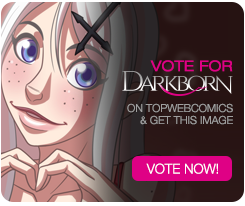 Thank you again to everyone that keeps voting for Darkborn. As always, I really appreciate it! 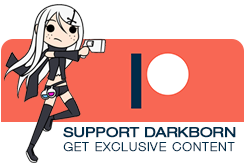 I’m going to be starting on the next vote incentive soon. Keep those votes coming! Windows, windows, windows and more windows.